Shopping for Big Bang Theory Kitchenware? 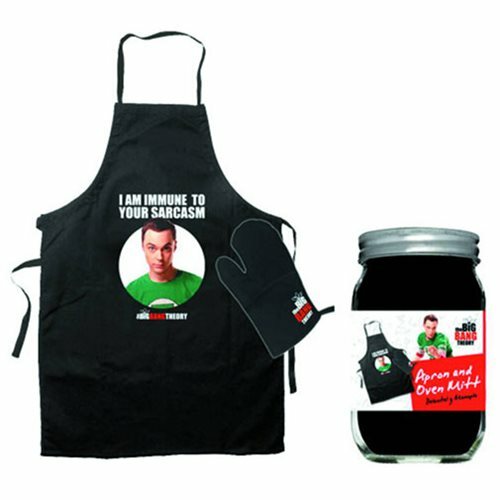 Protect yourself from grease splatters - and sarcasm - with this Big Bang Theory Immune Apron and Glove Set! Bearing an image of the all-knowing Sheldon and his declaration of immunity, this is the perfect gift for any fan of The Big Bang Theory! Set includes an apron and oven mitt and comes packaged together in a mason jar. Ages 13 and up.